We share our knowledge. Enjoy our webinar series dedicated to Continuous Manufacturing. How drug quality can be monitored and improved via fully automated and Integrated Continuous Manufacturing (ICM). How Continuous Manufacturing can improve the quality of pharmaceuticals via fully integrated technologies. 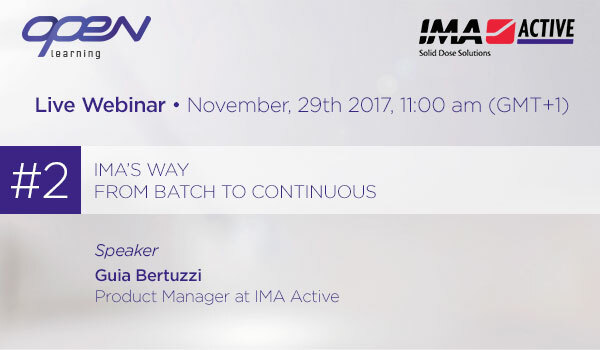 How Continuous Manufacturing can improve the quality of pharmaceuticals in terms of potency, effectiveness and safety.